There is no doubt that the Internet is the world’s foremost communicative medium. In these days the Internet users require a more powerful and secure Web Browser, that is faster, stable, private and more secure. The internet is growing day by day, the number of messages it transmits, the identification numbers and passwords it required, and the huge list of transactions it handles every hour require a more trusted and reliable network. The Internet has grown up and the number of hackers, scammers, phishers, and online thieves has grown a lot. You need a better browser, that is fast, keep your privacy private and offers security online. Here is a list of lightweight and fast web browsers. Midori is blazing fast browser utilizing the latest web technologies and having an array of extensions provide all the essential features. It is a little program, but it supports Google, Facebook, Twitter, YouTube, Spotify, and Rdio. Midori handles all the latest web technologies like HTML 5 and CSS3. 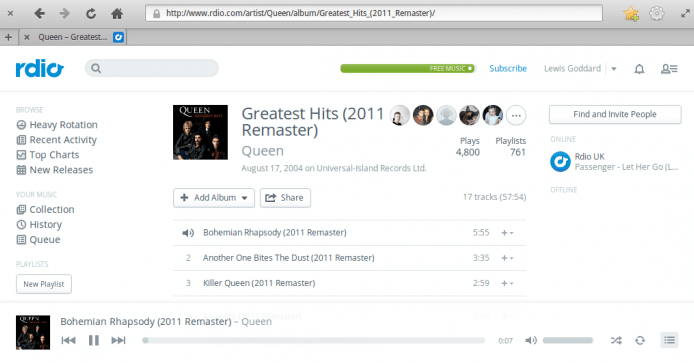 You can easily listen to music on Rdio, play a game of Angry Birds, and more. It uses the same lightweight WebKit rendering engine lends it the same supremacy in speed that has spurred the growth of Google Chrome. It is a fast and versatile Internet browser based on Mozilla Firefox having several security features. The browser is fully compatible with Firefox plug-ins and extensions, IceDragon combines the freedom and functionality of Firefox with the unparalleled security and privacy of Comodo. The SiteInspector’s link scanning feature allows you to check whether a web page is malicious before you actually visit that web page. To scan a page that seems suspicious to you, simply right-click on the link to that page and click ‘Scan Link’. Alternatively, the SiteInspector button at the top corner of IceDragon allows you to instantly scan the page you are looking at to find out if it contains viruses or other malware. This is another flavor of Comodo web browser, this is a fast and versatile Internet Browser based on Chromium, with the highest level of security. 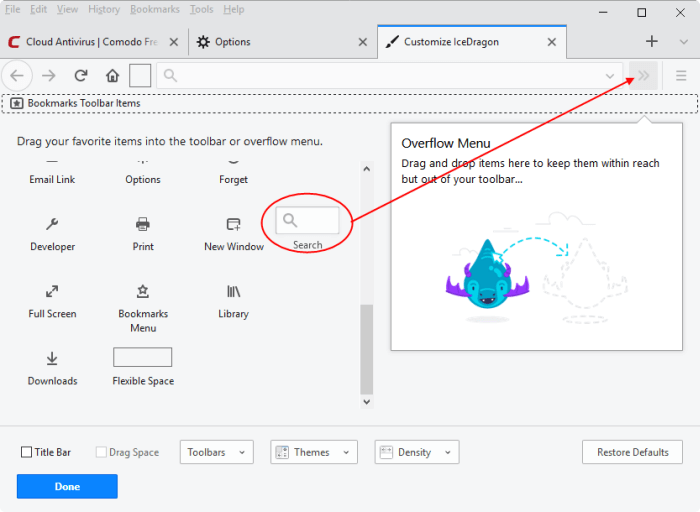 Comodo Dragon is a Chromium technology-based Web Browser that offers you all of Chrome’s features with an unparalleled level of security and privacy. It is a free web browser with faster startup, faster web browsing, 10x faster file & video download, 20x faster photo upload speed. It can easily integrate with online virus scanners, can securely manage passwords, it can safely erase all traces. You can automatically fill web forms or log into your favorite websites with a single click, you can use a single master password instead of different passwords for different accounts. You can boost your download speed by up to 12 times by opening multiple connections to the server to download a single file. You can manage and track your download jobs easily in a convenient centralized location and can resume the broken downloads. The SeaMonkey project is a community effort to develop Web-browser, advanced e-mail, newsgroup and feed client, IRC chat, and HTML editing made simple, an all in one application. This browser has dual Rendering Engines, displaying pages using Webkit and Trident engines. It can balance both read speed and multi-element page content. Maxthon Cloud synchronization supports Windows PC, Mac, Android, and iOS platforms. with Maxthon Cloud Browser, you can save and get your files seamlessly across computers and phones. Maxthon uses resource optimization, hardware acceleration, pre-rendering, pre-start, multi-process processing technologies, greatly optimizing the browser speed, Webkit and Trident dual-core provide you with a more effective browsing experience. Vivaldi has a unique feature that gives you full control of how you group and display browser tabs in Vivaldi. No more jumping back and forth between tabs, the tab tiling allows you to view several tabs at the same time that helps tasks like researching and working on a blog post easily. Web Panels make checking your favorite chat apps, social feeds, and news sites a breeze and you can even open a specific panel using custom shortcuts. Pale Moon is an Open Source, Goanna-based web browser available for Microsoft Windows and Linux, focusing on efficiency and customization. Torch Browser is the premiere browser for media lovers, it includes its own media player. This browser allows you to save audio and video from the web using the integrated Media Grabber. Once you find video or audio online that you want to save; click on the Media Grabber button to easily save it without having to use external programs, converters or extensions. The audio will automatically be saved in a separate file. Torch Browser’s built-in torrent manager makes downloading torrent files simple. You can download torrents without the hassle of any additional software, and manage your torrent downloads straight from your browser. Click Play on a torrent in Torch Torrent and it will automatically open in the Torch Player. Torch Browser offers a built-in Download Accelerator which speeds up your downloads. This technology works by dividing the files and downloading them simultaneously via multiple connections. You may notice that the all the above browsers also using the same web engine that is used by the popular web browsers. The Webkit is a browser engine used in Apple’s Safari browser and other products and the Trident engine was used by the internet explorer. Blink is a browser engine used in the Google Chrome browser and many other projects. Gecko is a browser engine developed by Mozilla. 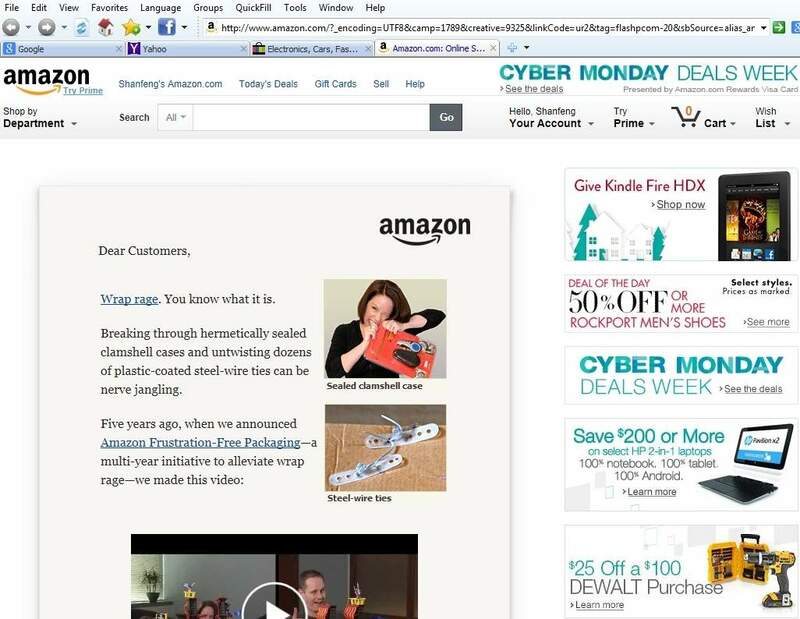 It is used in the Firefox browser, the Thunderbird email client, and many other projects. WebKit is the web browser engine used by Safari, Mail, App Store, and many other apps on Mac OS, iOS, and Linux. Self-driven Car on Streets-How Google Car Self-Drives ! Firefox4 Beta7 comes with the Jagermonkey engine; Result-Faster fox !